Created as an embedded pod in June 2016, the Huge team was asked to work alongside G Suite Web Production to increase work throughput. We evaluated and improved workflows to increase efficiency and transparency, as well as provided thought leadership beyond implementation for creative, development, quality assurance and process. 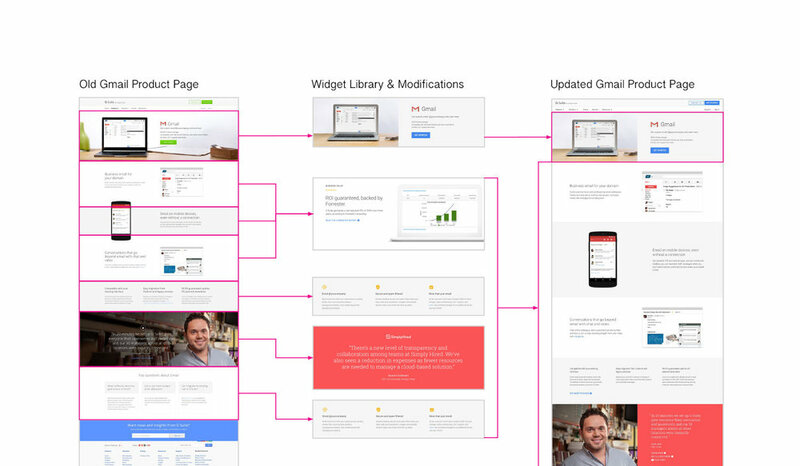 I worked closely with Dan Sim, Google’s Design Lead, to evolve and maintain the G Suite site. 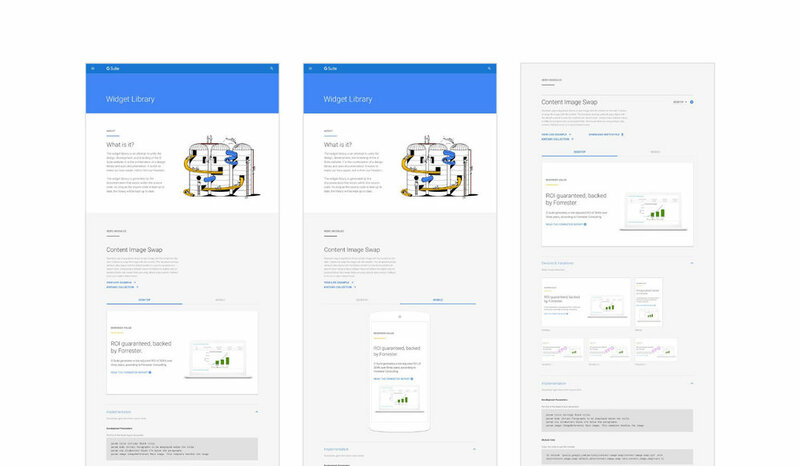 Migrated, localized, redesigned, and maintained more than 20+ G Suite pages. We created a tool to streamline web page concepting, standardize design styles and development processes to ultimately decrease time-to-market delivery.